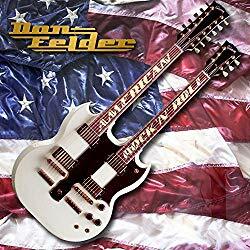 A former lead guitarist and songwriter of The Eagles, Rock and Roll Hall of Fame Inductee, and New York Times bestselling author Don Felder, announces his highly anticipated all-new album American Rock ‘N’ Roll. The new album is slated for release on April 5, 2019 on BMG. The leadoff single and title track “American Rock ‘N’ Roll,” featuring performances by Slash, Mick Fleetwood, and Chad Smith, is available for download and streaming on January 25, 2019. Felder will be embarking on a worldwide tour to promote the new album due out April 5 on BMG. In addition, Felder and his iconic double neck Gibson electric guitar, that he recorded and performed with on Hotel California, will be featured at the Metropolitan Museum of Art’s new exhibit titled Play It Loud: Instruments of Rock and Roll opening April 8th.